Wow, it has been quite a good three months. I can’t believe I’m about to officially turn 5 years old! I’ve been learning a lot with my Person and we’ve gotten really good at some things. 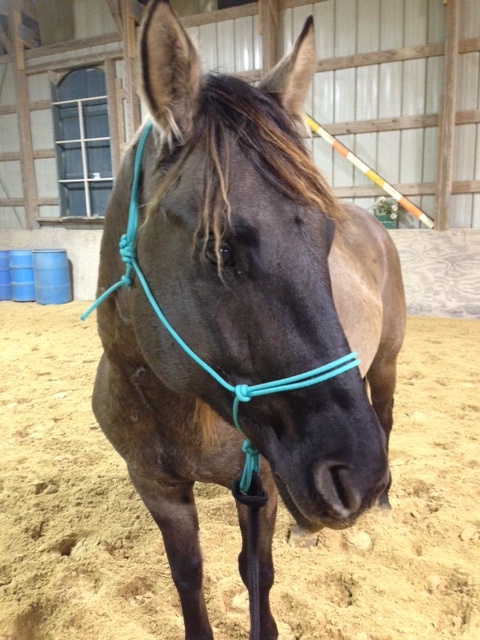 I am starting to fill out and look like a real adult horse instead of a baby. 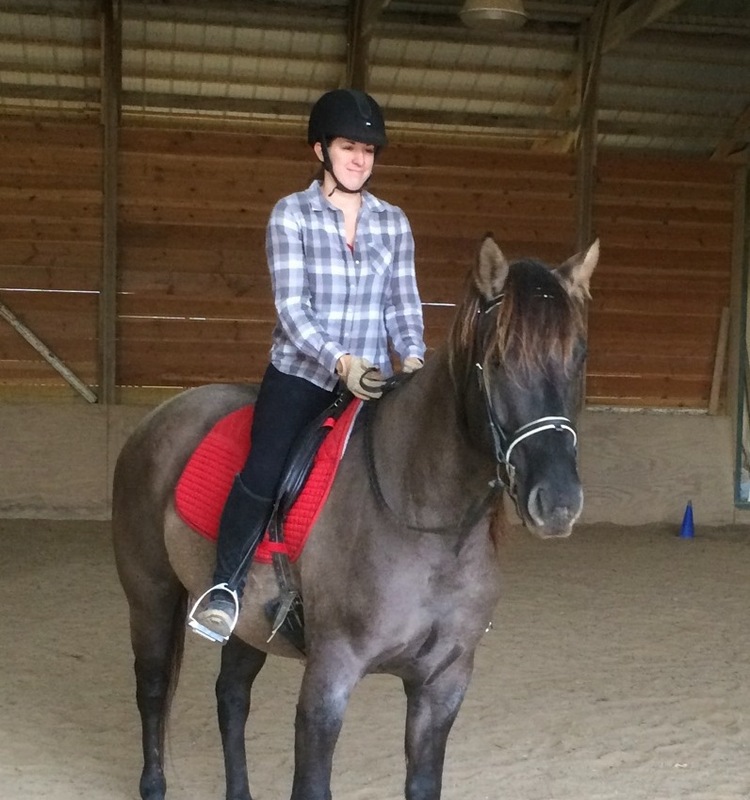 We’ve also cantered a couple of times under saddle, which is kind of hard for me. I’ve started getting into a bit better shape but I’m still not terribly fit – that’s one thing that I guess we have to work on more so I don’t get so sweaty so easily. Then again, my winter coat is super fuzzy and thick, and the warmer weather this month has been really weird. Good thing we have the rest of the winter to work on everything! In three more months, I bet I’m going to be a total pro. Did you miss Part I? Read it here. Drifter, you’re adorable!! What colour are you? Grulla? Yes! You’re right, I’m grullo/grulla (however you want to pronounce it. I’m not even sure myself). In Africa, we’ve given up and call it black dun. Whatever it is, you’re gorgeous! I’m on board in this new world, for me! And darn, you can write! !